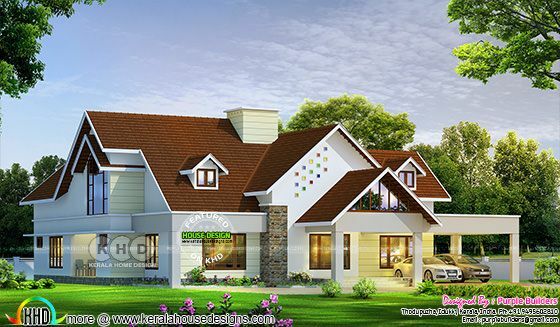 3000 square feet (279 square meter) (287 square yards) 4 bedroom sloping roof style elegant home design. 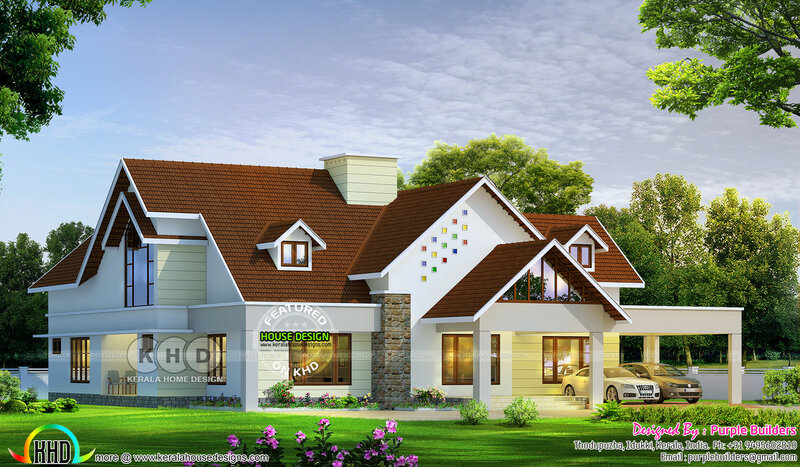 Designed by Purple Builders, Thodupuzha, Kerala. 0 comments on "Large single storied home in elegant style"